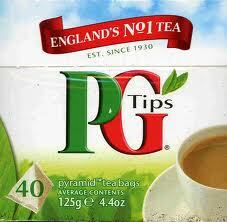 Those are the tea bags I used to buy when I lived in England. And they were sitting on the shelf next to a box of Hob Nobs and Cadbury's Digestive Biscuits, which I used to buy to go with my tea. In England. Where I used to live. I loaded them all into my cart. All I could think was I could be sitting in England right now, drinking tea and eating hobnobs (although with the time difference I would probably be drinking a pint and eating a curry) and I would have permanent residency status by now. And a job. I can't believe I still feel this way sometimes. After a year, you'd think leaving England would not feel like a mistake I just made this morning. I wish it didn't feel like a mistake at all. I put the tea and the cookies back on the shelf. After traveling 6,000 miles they were super-expensive, and I knew they wouldn't taste the way I remember. *I had the same reaction one time in England when Sainsbury's started carrying Oreos. What can I say? Processed food makes me emotional.